You can help to ensure the long term financial stability of Temple Shalom by participating in the Temple Shalom Planned Giving Program. Many members have already left a legacy for Temple Shalom in their wills. We encourage you to consider doing the same. 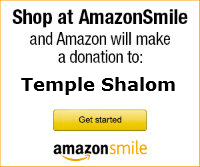 Temple Shalom also offers other ways to donate, which may have favorable tax benefits for you*. For example, you may donate appreciated securities, real estate, or life insurance naming Temple Shalom as the beneficiary. Donating now to our professionally managed endowment funds will help to solidify the financial base of Temple Shalom for future generations. Remember Temple Shalom in your will, or participate in planned giving. Either way, you are helping to build for the future of the Colorado Springs Jewish Community. For further information please contact Gary Altman, Endowment Committee Chair or the Temple Office. *Please consult your tax advisor. Temple Shalom does not give tax or legal advice.